+ 48 Reward points with your order. "Over the years, women’s skin tends to become duller, their skin tone becomes less even and their facial features lose definition. To enhance their skin – make it unified, energized and illuminated – and highlight their facial contours, we have developed the first pure youthful radiance in a tube: LIQUID LIGHT LIQUID LIGHT leaves a light veil texture which creates a natural finish. 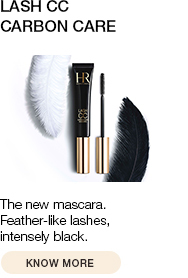 Its anti-faux pas technology reflects light and masks the signs of ageing. It highlights the facial features and boosts skin radiance, for a glowy skin. The skin is unified and illuminated. " LIQUID LIGHT has a light veil texture which gives a natural finish. "UNIFY YOUR SKIN For a radiant skin, blend a touch of LIQUID LIGHT with your COLOR CLONE, POWERCELL or SPECTACULAR foundation over your moisturised skin. Use the round part of the sponge. Use the flat part of the sponge to highlight the skin under your eyebrows, the inner corner of your eyes, your cheekbones, the bridge of your nose and your chin. " LIQUID LIGHT comes with a teardrop-shaped sponge for optimal application. 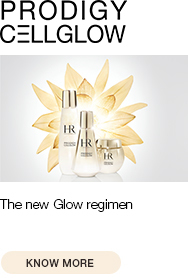 The LIQUID BIRON, which reflects light and boosts skin radiance. An ULTRA-FINE MOTHER-OF-PEARL, which produces a natural, beautifully bright complexion.